E3, there's an agility orb nearby! Oh yes. The announcement I've been waiting for since 2011... Crackdown 3 has been announced for a release this year! We can expect the game to hit Xbox One and Windows 10 this fall probably in November. This time, Agent, you are in the city of New Providence; a collective of paradise islands under control of rampant corporations and gangsters. TerraNova, a company personified only as evil and exploitive of any human or natural resource in its reach, is preparing for a total takedown of The Agency. The first two Crackdowns are some of my favorite games I've ever played - seriously. 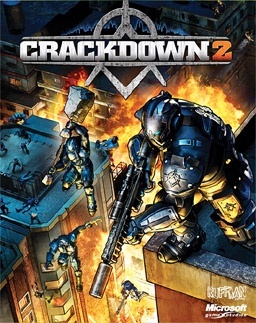 Many players were upset when Crackdown 2 came out and the world was pretty much the same as the first except that it was torn down more. This time, we finally get out of Pacific City and get to explore the paradise islands. I got so excited to hear that the map was nicknamed paradise islands, because it is a callback to Crackdown 1’s menu music that is seriously one of the hardest tracks to find and was written by DJ Krush who is even more mysterious. He composed a bit of the game’s music and was most notable for Paradise Bird Theory. Interestingly enough, the song was composed in 2001 under Sony Music Entertainment Japan. How it made it to being the main song for an Xbox 360 exclusive is a mystery to me. The album could be considered extinct with just a few copies surviving on YouTube. Going back to Crackdown 1, released in 2007 - it sold really well because it came with a demo for Halo 3, and it was the only way to get it. 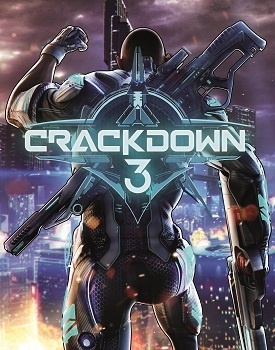 I don’t know if Crackdown would be where it is today, making its third game, without the initial success because of the exclusive demo. Once people played all they could of Halo 3, they probably put in Crackdown for the first time to check it out. It was a surprising gem at the time - open world, crazy weapons, a leveling system, and ORBS! 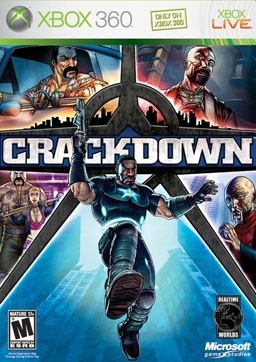 I remember my best friend and I, in 2007, couldn't even get Crackdown (I was 12 at the time) at the game store, so we settled for playing the demo. It was a 30-minute demo that gave you just a few guns and only a fourth of the map was playable. With that, it was still amazing and I had to wait until I was 13 before my dad would let me finally buy the game. Playing the full game for the first time was a great experience. I am still nostalgic for that experience, and it is probably why I hold the Crackdown series so close to me. At the end of Crackdown 1, the narrator tells the agent that The Agency really isn’t the protector that it told the public. The Agency actually funded all of the gangs and drug wars in Pacific City so that the citizens became terrified; looking for someone to save them. That is when the Agency created you, The Agent, with some experimental genetics and crazy doctors. They released you into the world and put it in your head that you were working with police to stop crime - which you were, but they leave out the fact they made that crime happen - and once citizens saw you destroying all of the gangs, they’d trust The Agency and put them in power. Well, all of that happened, and what about that thing about the crazy doctors and experiments you ask? That’s what Crackdown 2 covered when it released in 2010. Freaks freakin' everywhere. Turns out the mutants escaped in the first game when the Agent broke into the facility to kill everyone and began spreading the virus. This made people a little upset and the whole city was in revolt, but the Agency was there again to save the day and fight off not only new factions trying to run the city after the Agency turned out to be just as bad as everyone else, but all of the freaks that came out at night. The mechanics of being a super agent with extreme strength to ground smash enemies, jump from building to building, run faster than cars, fly with a wingsuit, and have jetpacks-for-feet makes this game so much fun for me. The guns, vehicles, rubber duck grenades and all of the cool other gadgets you get really turns the world into a playground of fighting crime and even your own agency. It’s not a game everyone likes, but I am more than excited to learn more about Crackdown 3 as it gets closer to launch.